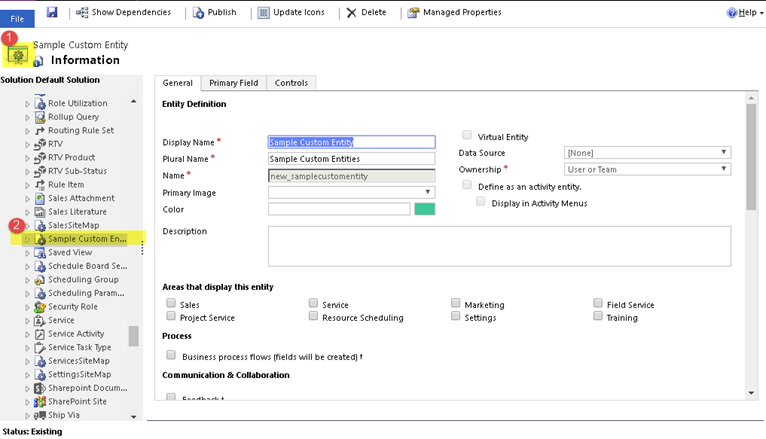 In Dynamics 365, an administrator can customize the icons that are displayed for custom entities. These entities will display an unattractive default image in the navigation panel, as well as a miniature unattractive default image in certain places like the configuration area. To address this, we need to collect custom icons for all our custom entities. A great tool to make this quick and easy is Metro Studio 5 by Syncfusion. You can search for this program and download a desktop version, which we find to be the most convenient. The interface allows you to instantly search thousands of flat pre-configured icons for download. 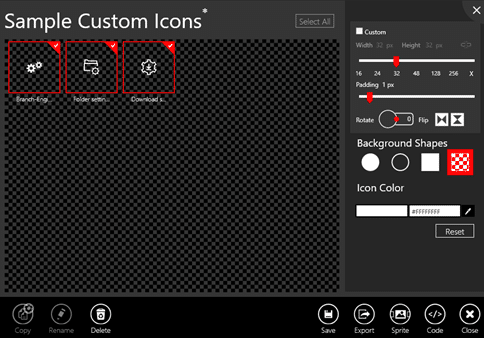 It even gives you preset icon categories to quickly find icons that apply to your vertical. Further, if you ever need to make bulk changes to your icon configurations, Metro Studio will store them in ‘projects’ that allow you to return later and re-export, make changes, etc. Just drag an icon to create a new project, then add to that folder the additional icons you will need for your project. We can now bulk edit those three icons to meet the standards we need for them to cooperate in D365. Now we can export these as .png files to our local machine. Then repeat the above steps to create our 16 x 16 icons. However, for these, set the slider size to 16, set the padding to 0, leave the background transparent, and set the color to a black or grey of your choice (we use the OOB gray, FF5E5E5E). Export these, as well, and keep track of them. Now, for the easy part that most of you are familiar with. We will update the old standard icon in D365 and replace it with our new awesome icon. 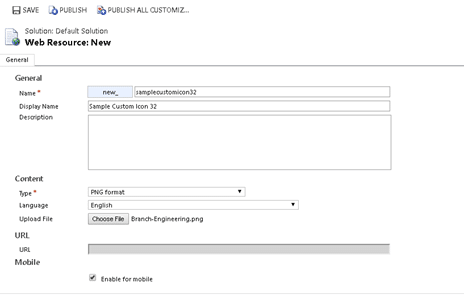 First, load the new icons into CRM as web resources. Go to Web Resource > New in the configurator. Note: Be descriptive with a 16 or 32 in your naming convention so they are easy to locate later. 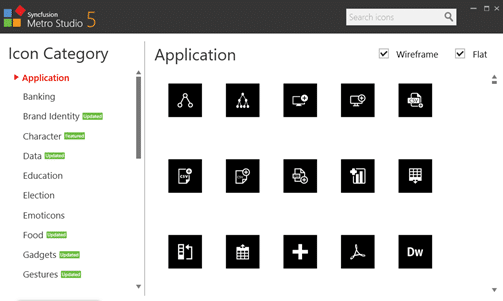 Now, with all your icons added as web resources, in the D365 configurator locate and select the entity for which you wish to update icons. In the toolbar at the top of the entity, select Update Icons. 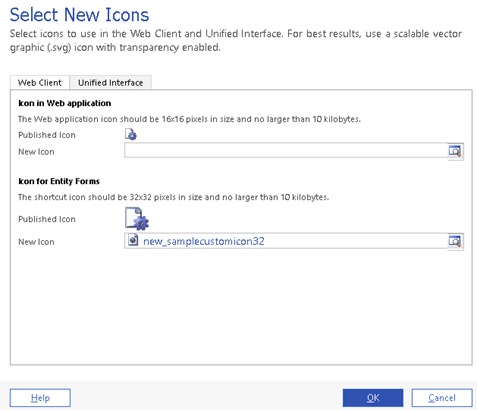 You can now lookup your 16- and 32-sized custom icons and associate them with the custom entity. Once you’ve saved and published, you can see that the new icons are in place! Easy, awesome, and even a little fun. Get more Dynamics 365 tips and tricks on our blog!